Ride the future with VOI. We're bringing shared electric scooters to the streets of Europe. Jump on a scooter anytime and ride wherever in the city - all free from emissions. A future with cities free from noise and pollution with happier citizens. Cities where people move on light electric vehicles. Cities made for living - not for cars. How to VOI in four simple steps. Help us to put your city on our map! 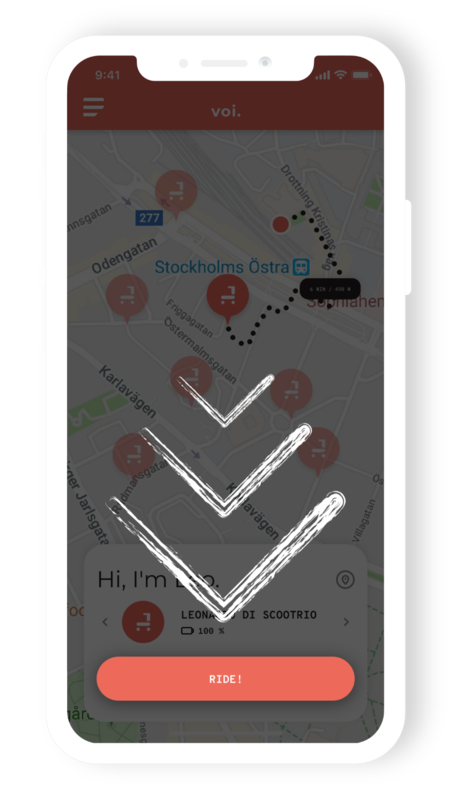 Today you can find our scooters in Stockholm, Gothenburg, Malmö, Lund, Uppsala Copenhagen, Helsinki, Malaga, Madrid, Lisboa, Faro, Lyon and Paris. Follow the VOI Club rules so everyone can have a pleasant and safe day. Be street smart, sweetheart. Care for pedestrians and other people. Ride in bike lanes or close to the side curb. Only one rider per scooter is allowed. Follow traffic rules and use caution. Always protect your head with a helmet when riding. Treat your scooter with love and care. Do you want to collaborate with VOI in your city? If you are an administrator of your city and would like to collaborate with VOI, or if you want our service in your city please contact our team. VOI is the future of urban mobility, become part of our revolution! We want to make our cities more sustainable. Make money on your own schedule by joining our chargers community. Get paid each time you charge a scooter and be a part of the sustainable revolution. 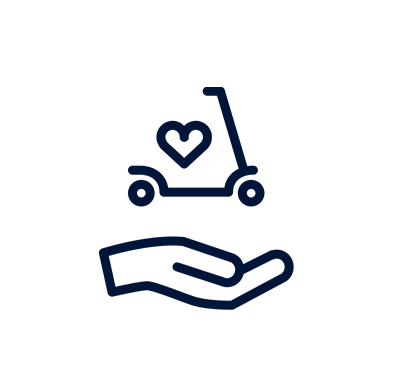 Can you provide us with a B2B-solution? Hit us up. Made with love by VOI Technology © 2019 in Stockholm, Sweden.